Sometimes when you wish hard enough your dreams can come true. That is the case with Fior Mendez, an aspiring model who received her big break at none other than Mercedes Benz New York Fashion Week. However, her story is a little different than most models. In an interview with TODAY.com, it was revealed that just two months ago, Mendez was living in an orphanage in the Dominican Republic. As heart wrenching as that sounds, Mendez never allowed her circumstances to taint her dreams. She always told her friends that one day she would be a runway model, just like the young women on television whom they admired. It is hopeful that no one ever doubted her because Mendez is now part of New York Fashion Week and has walked the Nzinga Knight show, an American Muslim designer with a Caribbean background. Mendez with the help of her translator, said she was amazed with all the changes her life has undergone in such a short period of time. She even choked up with tears just talking about it. “I’m overwhelmed emotionally, it’s a dream,” said the 22-year-old who, according to TODAY.com, is actually very well versed in fashion lingo. She hopes to someday walk for Chanel. “I couldn’t imagine that a person like me would be doing this in New York City,” she said. By the age of 21, Mendez had aged out of her orphanage, but a friend in New York invited the aspiring model to live in New York with her to learn English. This in turn led to a meeting with a casting agent and resulted in the New York Fashion Week opportunity. Knight had no clue about Mendez’s past when she hired her, but she knew she made the right choice when she hired her to wear her designs for the fifth annual Harlem’s Fashion Row show. 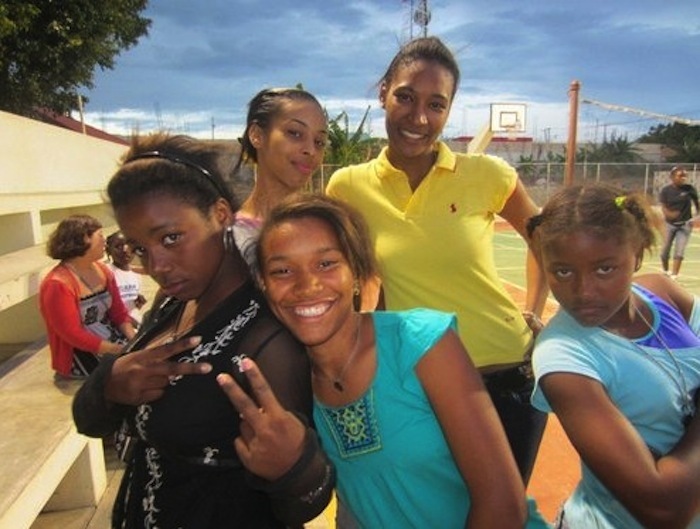 Mendez was 13 when her mother decided to drop her off at the Orfanato Niños de Cristo orphanage in La Romana. Her mom made this move after realizing she could no longer take care of all her children. Mendez has not been in contact with her family since. Fast forward eight years and Mendez transformed into a “quiet leader” at the orphanage and hopes to inspire other orphans and homeless children in the Dominican Republic with her story.